Aeris Thorne is expecting a quiet vacation in Deep Cove. But on a stormy night, she meets the alluring and mysterious Hunter Cayman, and her life takes an exhilarating turn. Aeris is both drawn to him and determined to find out what he's hiding in his lab on the promontory. But what Aeris doesn't know is that he's tormented by a secret. As he and Aeris are drawn together, the walls he's built to protect himself threaten to crumble. When Aeris's life is threatened, Hunter is forced to make an impossible decision about her future - one that could change everything. Get lost in THE BUTTERFLY CODE now! She never asked to be modified. But now, she's running. Because they want to take it all back . . . Powerful forces are descending upon the cozy town of Deep Cove, Maine. Beneath the cover of whispering trees, along the shores of wave-tumbled beaches, people are vying for power. And I have become the center of the war. Startling changes are beginning to take hold of me--I can feel them burning through my veins. My only ally is the man I love, the one I can never be with. I'm desperate to hide the truth from him. He can't know what I'm becoming. For if I put my faith in him, if we stand together, we'll both be dead. 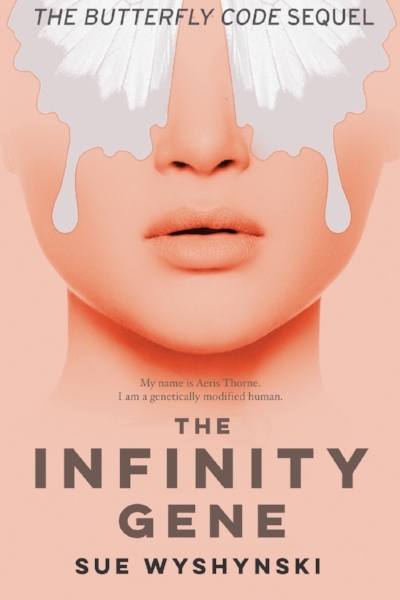 Start your exhilarating ride through The Infinity Gene now! Tallulah Jones didn't mean to lie about being an expert surfer to Jenna, the most popular girl at her new school. So what if she's only tried surfing once, with disastrous results? How much harm could one little fib do? Well . . . a lot, actually, in the form of a humiliating, near-death experience in the water that might forever ruin Tallulah's chances with Jenna and her cute older brother, Corey. Now officially labeled a "poser," only a miracle can save Tallulah from outcast hell—one that arrives in the form of Katie, a frizzy-haired, nearsighted, completely unhip surfing phenom who takes Tallulah under her wing and teaches her to surf. But it will take more than learning to surf to change Jenna's mind and win Corey's heart. Tallulah will have to prove that she can be the real deal—both as a surfer and as a friend.